Cardiologist Sandeep Jauhar vividly remembers when his grandfather died from a heart attack—a memory that fed his fascination with the “life-giving” organ. The following is an excerpt of Heart: A History by Sandeep Jauhar. A government ambulance used to make rounds in the village regularly. Around 7:00 p.m., several hours after my grandfather’s collapse, it was flagged down on a routine drive. By then, rigor mortis had set in, traveling like a slow wave from my grand­father’s neck and jaw into his limbs. The paramedics immediately declared my grandfather had passed—he had no heartbeat—but the family, in denial, insisted they take him (and the snake) to a British-built hospital about five miles away. A doctor there pronounced my grandfather dead on arrival. “It was a heart attack,” the doctor said, dispelling the family’s belief that a snake had killed their elder. My grand­father had succumbed to the most common cause of death throughout the world, sudden cardiac death after a myocardial infarction, or heart attack, perhaps triggered in his case by fright over the snakebite. With nothing to be done, and the summer heat threatening to spoil the body, my grandfather was brought back to the village and cremated the following day. Before a gar­landed casket set on a pyre soaked in oil, people beat their heads in grief under a light blue sky. Listening to family lore, I grew up with a fear of the heart as the executioner of men in the prime of their lives. Because of the heart, you could be healthy and still die; it seemed like such a cheat. The apprehension was fed by our grandmother, who came to live with us in California in the early 1980s (until she got homesick and returned to the tiny village in Kanpur where her beloved husband had died). Even 30 years after his death, she still wrapped herself in white gossamer shawls that smelled of mothballs, befitting a widow. Once, at the Los Angeles Zoo, she bowed respectfully to the snake they brought around, clasp­ing her hands and muttering a prayer before insisting we take her home. She was a strong-willed woman who ably took over the reins of the household after her husband died. And yet, like Miss Havisham, she spent her life in mourning over one freak­ish, incomprehensible incident. In India, snakes symbolize in­finity and timelessness, as well as misfortune and death. To the end, in her mind, it was a venomous snake that killed her hus­band. And in a way, in the suddenness with which a heart attack can fell a healthy and vibrant life without warning, it was. My maternal grandfather also fell victim to sudden cardiac death, though many years later. He was an army doctor who set up a successful private practice at his home in New Delhi. On a September morning in 1997, just after his 83 birthday, he woke up complaining of abdominal pain, which he attributed to an excess of food and scotch the night before. After a few minutes, he bellowed a loud groan and went unconscious; just like that, he was gone. He almost certainly had had a massive heart attack, but that wasn’t what killed him. It was the ensuing arrhythmia—ventricular fibrillation, in which the heartbeat becomes chaotic—that prevented his heart from sustaining blood flow and life. When I talked to my mother about his death, she said she was sad that he died so suddenly. But she was thankful, too. Thus, the human heart became an obsession for me, in no small part because of my family history. As a boy, I used to lie in bed and monitor the thudding in my own chest. I’d lie on my side, head in hand, and listen to the squirting pulse in my ears. I’d adjust the speed of the ceiling fan to synchronize with my heartbeat, in thrall to the two competing oscillators, so grateful that mine never took a rest.1 I was fascinated by the heart’s dichotomous nature: muscular, constantly toiling, and yet so vulnerable at the same time. Years later, when I became a heart-failure specialist, I reproduced this preoccupation in my children. When my son, Mohan, was small, we used to watch a PBS special on heart disease, in which a man having a heart at­tack develops cardiac arrest. In the back of an ambulance, he is shocked back to life with defibrillator paddles, his body violently jerking with the electrical discharge. Mohan would stare at the scene spellbound, often rewinding the tape, until I’d insist we turn it off, fearful of the impact on his developing mind. We’d watch it again the next day. 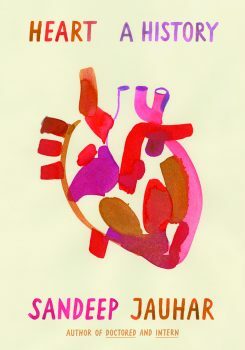 This book is about what the heart is, how it has been handled by medicine, and how we can most wisely live with—as well as by—our hearts in the future. The heart’s vital importance to our self-understanding is no accident. If the heart is the last major organ to stop working, it is also the first to develop—starting to beat approximately three weeks into fetal life, even before there is blood to pump. From birth until death, it beats nearly three billion times. The amount of work it performs is mind-boggling. Each heartbeat generates enough force to cir­culate blood through approximately 100,000 miles of vessels. The amount of blood that passes through an average adult heart in a week could fill a backyard swimming pool. But the life that it sustains can quickly be taken away. When the heart stops, death is instantaneous. If life is a continuous struggle against the inexorable march of entropy, then the heartbeat is at the core of that conflict. By purveying energy to our cells, it counteracts our tendency toward dissipation and disarray. From birth until death, it beats nearly three billion times. The amount of work it performs is mind-boggling. Each heartbeat generates enough force to cir­culate blood through approximately 100,000 miles of vessels. More than anything, the heart wants to beat; this purpose is built into its very structure. Heart cells grown in a petri dish start to contract spontaneously, seeking out other cells (through electrical connections called gap junctions) to synchronize in their rhythmic dance. In this sense, cardiac cells—and the or­gan they create—are social entities. The heart can continue to beat for days, even weeks, after an animal has died. In a labo­ratory, the French Nobel laureate Alexis Carrel showed that properly nourished chick heart tissue cultured on a medium of blood plasma and water will pulsate for months and can remain alive for more than twenty years, much longer than the normal life span of its host. This is a unique property of the heart. The brain and other vital organs cannot function without a beating heart, but a beating heart does not depend on a functioning brain, at least not in the short term. Moreover, the heart doesn’t just pump blood to other organs; it pumps blood to itself. We cannot see our own eyes. We must struggle to use our minds to change our way of thinking. But the heart is different. In a sense, and unlike any other organ, the heart is self-sustaining. The sanguine dance must eventually come to an end. Car­diovascular disease claims 18 million lives—nearly one-third of all deaths—across the globe each year. Since 1910, heart dis­ease has been the number one killer in the United States. Today 62 million Americans (and more than 400 million worldwide, including 7 million in the United Kingdom) suffer from heart disease. The second most common cause of death in America is can­cer, but heart disease and cancer could hardly be more different. In cancer, cells divide madly, migrate wildly, invade mercilessly, in a sort of hard-charging pollution of the body. Heart disease is different: cleaner, stricter, less ambiguous, more comprehensi­ble. Cancer patients, Susan Sontag wrote, are stained and frag­mented. Cardiac patients, she said, often stand tall, seemingly healthy, like my grandfather, until they die. The numbers could be even worse. Cardiovascular deaths in America have actually declined by almost 60 percent since the mid-1960s. From 1970 to 2000, the average life span in the United States increased by six years. Two-thirds of this in­crease in longevity came from advances in cardiovascular treat­ments. (In recent years there has been decreasing life span in middle-aged whites for non-cardiovascular reasons.) Although more than 60 percent of Americans will develop some form of cardiovascular disease in their lifetime, less than a third will die of it, so we know our treatments are effective. The twenti­eth century will go down in history as one in which the great scourge of cardiovascular disease finally began to come under control. There is a downside to this success, of course. Patients who once might have died of heart disease now must live with it, though often in an enervated state, a fraction of their former selves. Every year more than half a million Americans develop congestive heart failure, in which the heart weakens or stiffens to the point that it cannot properly pump blood to meet the energy demands of the body. Heart failure is now the number one reason patients over 65 years old are hospitalized, and most patients still die within five years of diagnosis. Ironically, as we become more adept at treating heart disease, the set of people who are ill with it is growing. The cardiovascular situation in America is likely going to get worse in the coming years. Adherence to a heart-healthy lifestyle has decreased. In aggregate, Americans have become more obese and sedentary, and smoking rates have hardly changed in the past two decades. An autopsy study in the Ar­chives of Internal Medicine suggests that 80 percent of Americans 16 to 64 years old have at least the beginnings of coronary artery disease. These findings indicate that the four ­decade-long decline in heart disease may be coming to a screeching halt. We will need new ways to cope with this threat. In the pages that follow, I will examine the emotional and scientific dimensions of an organ that has intrigued and eluded philosophers and physicians for centuries. No other organ—perhaps no other object in human life—is so imbued with metaphor and meaning. The history I will describe is not one of uninterrupted progress, but it is one that, in fits and starts, has solved major challenges, helping countless people survive a disease that was once considered terminal. It is a grand story from the natural philosophers who dwelled on the heart’s meta­phorical meanings, to William Harvey and the discovery of circulation, to large-scale endeavors like the Framingham Heart Study that explored the causes of heart disease, to modern surgical techniques and technologies that even a century ago, because of the heart’s exalted status in human culture, were considered taboo. The 12th-century Christian mystic Hildegard of Bingen once wrote, “The soul sits at the center of the heart, as though in a house.” In many ways, the heart does resemble a house. It is divided into multiple chambers, separated by doors. The walls have a characteristic texture. The house is old, designed over many millennia. Hidden from view are the wires and pipes that keep it functioning. And though the house has no intrinsic meaning, it carries meaning because of the meanings we attri­bute to it. The heart was once considered the center of human action and thought: the source of courage, desire, ambition, and love. Even if those connotations are outdated, they are still deeply relevant to how we think about this organ and how it shapes our lives. Nineteenth-century scientists used a rotating wheel driven by a motor and synchronized to the cardiac cycle to detect small variations in the heart’s rhythm. The kidneys were also left behind, probably because their location in the body made removal difficult. One can almost hear the words of the recently departed Egyptian, bowed in submission, written on the papyrus: “0 my heart which I had upon earth, do not rise up against me as a witness . . . Do not speak against me concerning what I have done.” Through the Middle Ages, the hearts of kings and princes were still often buried separately, and as recently as 1989 the queen of Hungary chose to have her heart interred in a monastery in Switzerland where her husband’s heart also lay. Excerpted from Heart: A History by Sandeep Jauhar, with permission from Macmillan Publishers. Copyright © 2018 by Sandeep Jauhar. Sandeep Jauhar is author of Heart: A History (Farrar, Straus & Giroux, 2018). He’s also a cardiologist and New York Times contributing opinion writer based in Long Island, New York. Why does air pollution exposure in the womb adversely affect infants? Researchers find a possible clue in the thyroid. Three new studies show rapid progress of paralyzed patients using spinal cord stimulation.